the tree and shrub grapple can remove small trees, shrubs, ornamentals and small stumps. 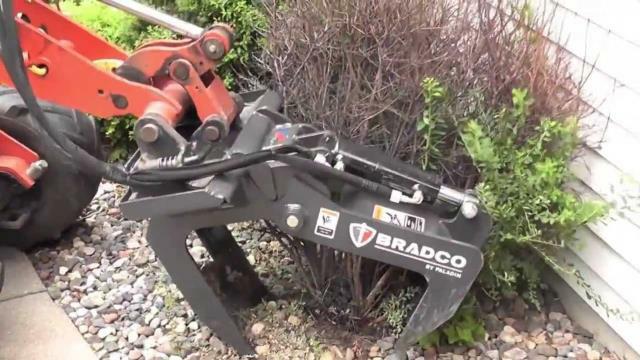 With its power hydraulic system, the grapple can remove a whole plant, including the stump, tap and secondary root system in one step, a time saving alternative to shovels, axes and chains. * Please call us for any questions on our bush grapple compact loader rentals in Ypsilanti MI and Southeastern Michigan.